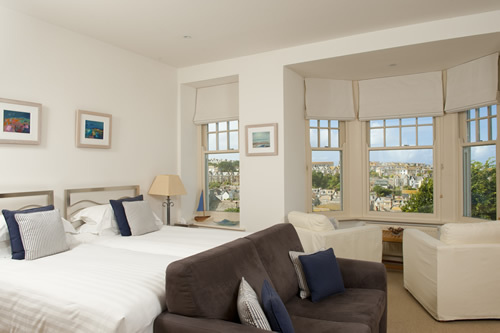 Luxurious rooms overlooking St. Ives harbour. | Luxury Bed & Breakfast - 11 Sea View Terrace, St. Ives. 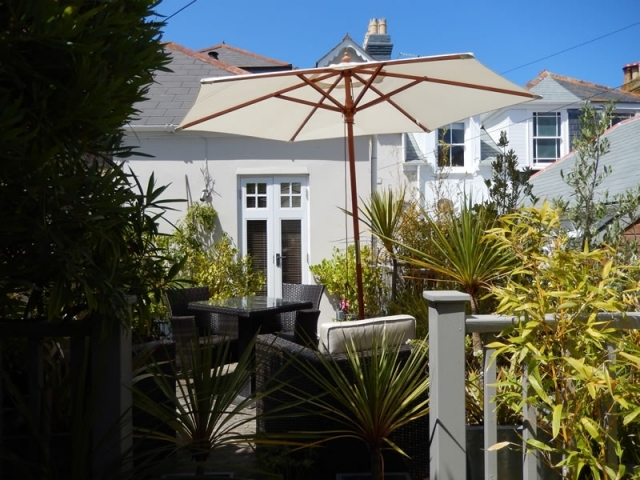 - 11 Sea View Terrace, St.Ives, Cornwall, Luxury Holiday accommodation. 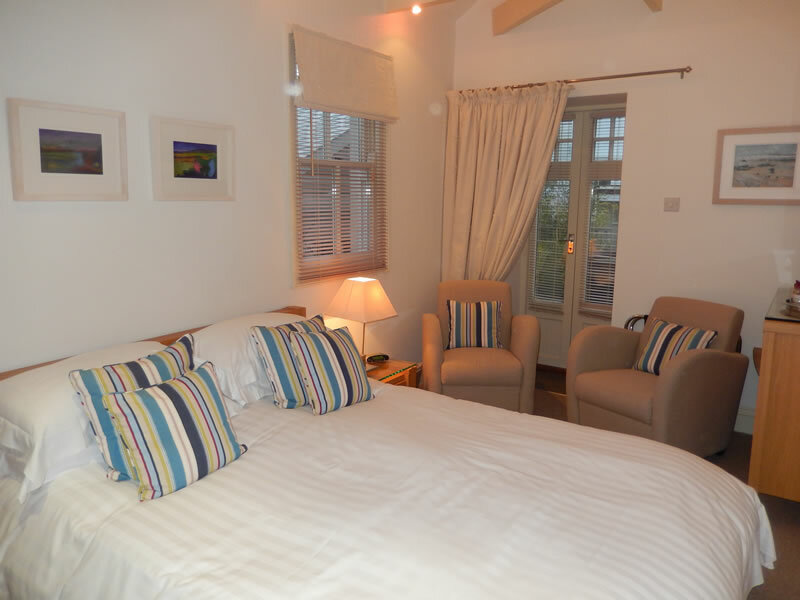 The house has 3 luxury suites, two of which have exceptional views and the other a private south facing sun terrace. 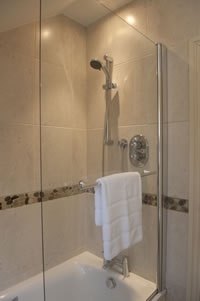 Combine this with a sitting area, LCD TV and DVD player, stylish en-suite bath or shower rooms, sumptous beds and you have the ultimate suite in which to chill out. 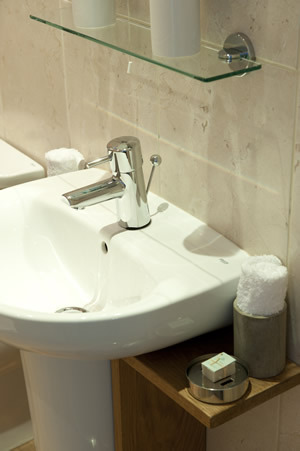 All rooms have small fridges, hairdryers and tea/coffee making facilities, fluffy white towels and goose and duck down duvets and pillows. Hypo-allergenic duvets and pillows can be supplied on request. 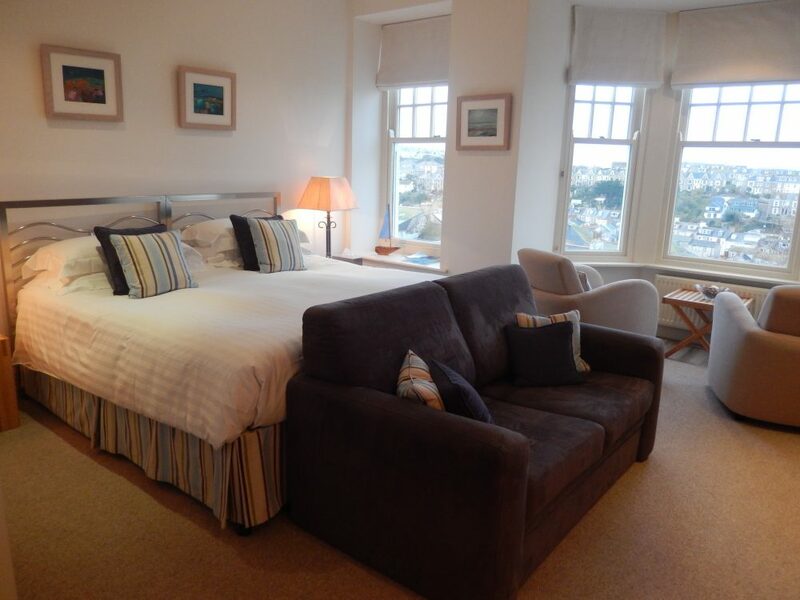 Suite 1 is located on the first floor with views over the town, harbour and island. It has a super king size bed and in addition there is a 2 seater sofa and 2 chairs. There is also a dressing area with walk in wardrobe and an en-suite bathroom with mains shower over the bath. 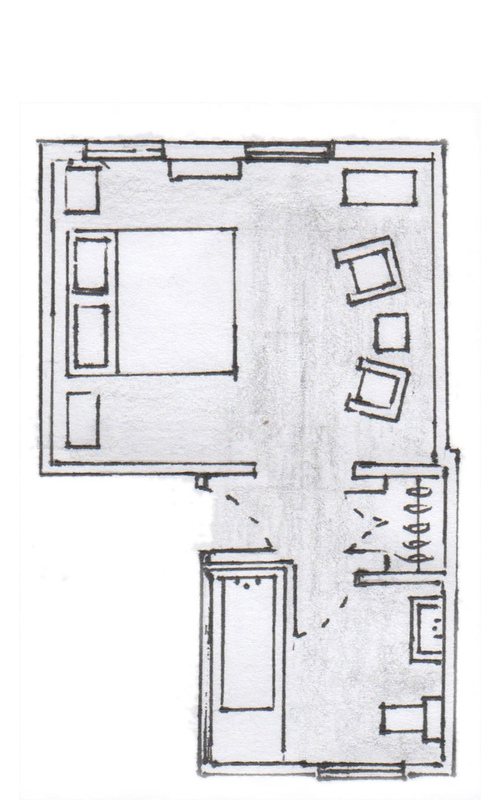 Suite 2 is located on the second floor and is similar in size to Suite 1 and it has the same views. It also has a super king size bed plus 2 chairs. 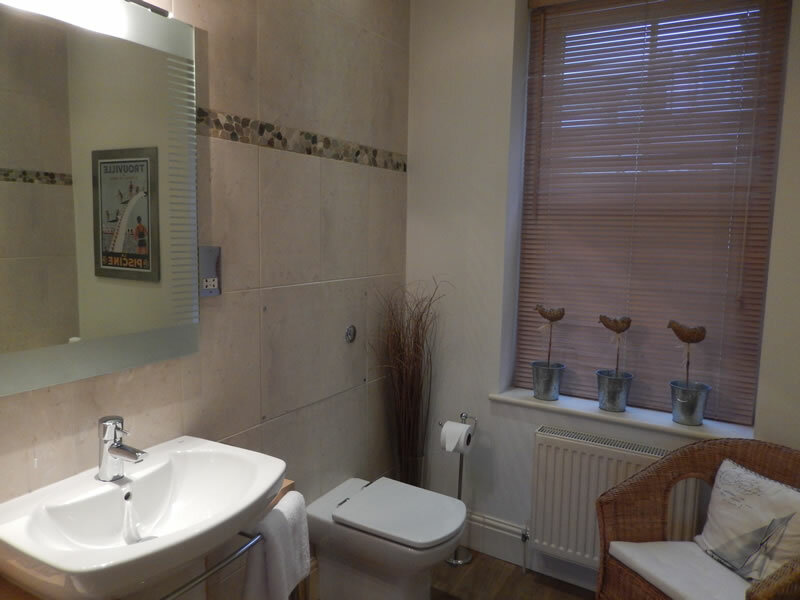 The dressing area and en suite bathroom are identical to those in Suite 1. 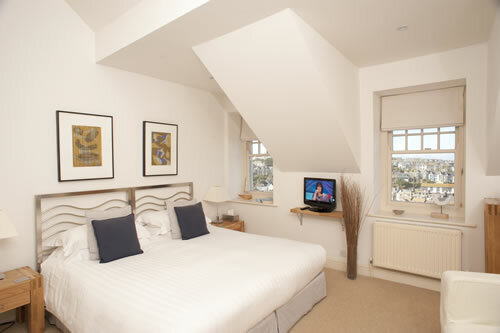 Suites 1 and 2 can be made up with twin beds if preferred. Please request when booking. 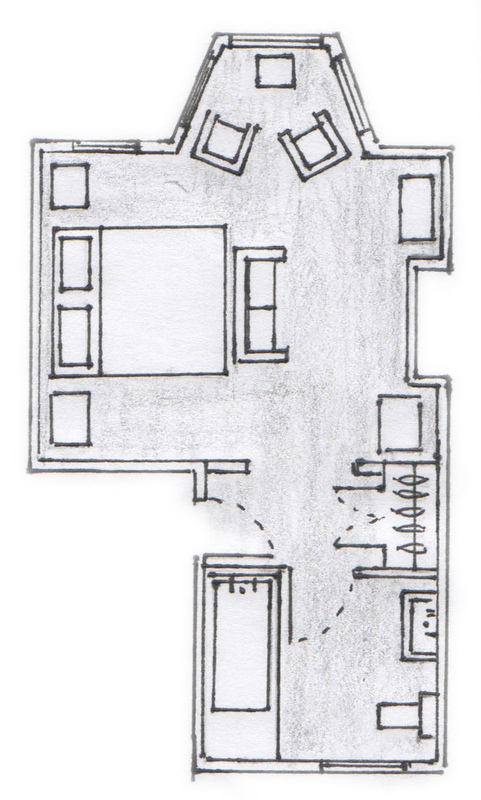 Suite 3 is at the rear on the first floor. 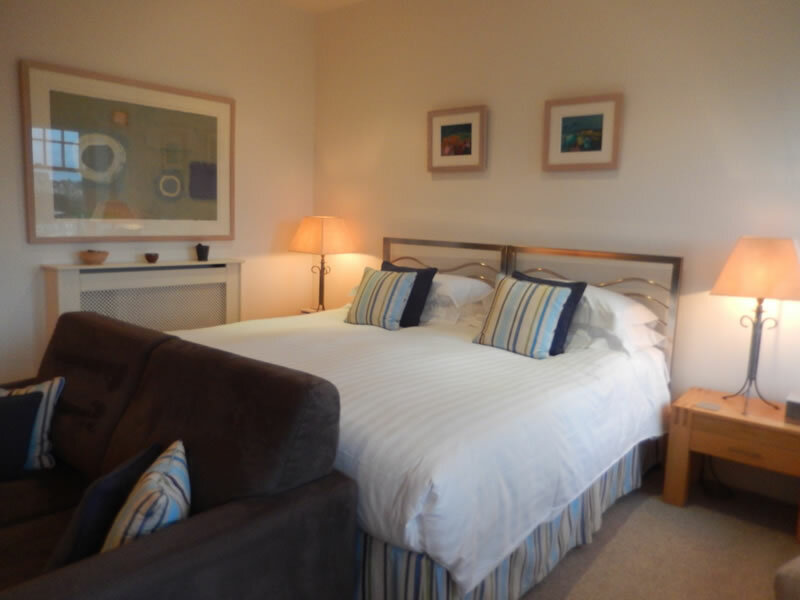 A little smaller than the other suites with a king size bed and the benefit of a private sun terrace. 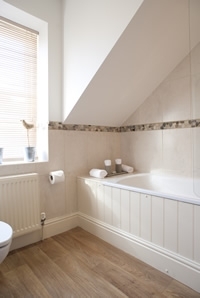 This suite is also suitable for single occupancy at a reduced rate subject to availability.